Hi! 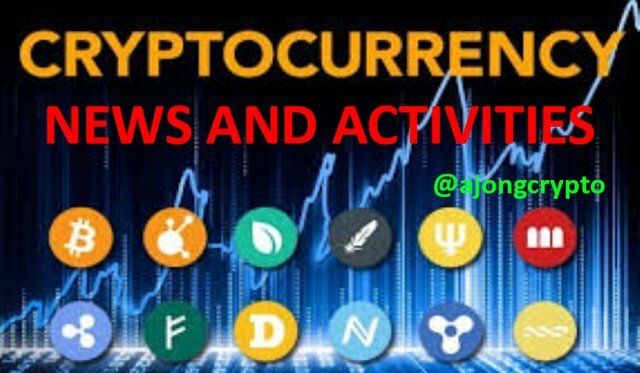 Everyone, welcome to today's post of Cryptocurrency news and activities that will take place today. Ark (ARK) Paris Blockchain Week: Paris Blockchain Week Summit is the flagship event of the Paris Blockchain Week. 3000 attendees and 60 speakers in Station F.
Zcoin (XZC) DigiFinex Listing: DigiFinex is going to list Zcoin (XZC) and open up deposit on 15th Apr. Withdrawal and trade service will be open on 16th. Tael (WABI) Biggest Partnership Yet: Tael (WABI) will reveal its biggest partnership to date during the Binance AMA. Tael (WABI) Binance Hosted AMA: Binance hosts an AMA with Tael (WABI) in the @Binanceexchange Telegram group. REOSC Ecosystem (REOSC) Miner Reward Reduction: Second (stage 2 at block 1,000,000) reduction of POW miner's reward to 150 coins per block," in Q2 2019. This post is intended to create awareness about what is about to happen in the Cryptocurrency space. It is in no way a financial advise but if you see it as one, you do so at your own risk. This post has received a 24.4 % upvote from @boomerang.